Dr. Kerriann Greenhalgh is the Founder, Chairman, and CEO of Kericure, a company for innovative skin protection solutions. She received her PhD in organic chemistry from the University of South Florida, and she’s with us today to tell us about her journey through life and science. Kerriann is a wife, mom and CEO of KeriCure. She developed the KeriCure technology in her garage after her husband had a serious brush with an MRSA Staph infection that nearly cost him his hand, all from a small cut where a Band-Aid couldn’t protect it. 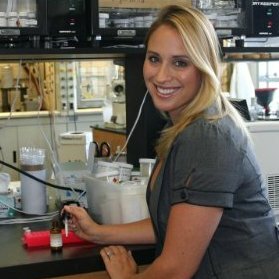 During graduate school she was part of the team that developed KeriCure’s drug delivery technology. After graduating, Kerriann was an initial member of MiMedx Inc (later MiMedx Group) as lead of R&D and product development, a company with over 10 FDA and EU clearances in orthopedic devices. Dr. Greenhalgh has dedicated her PhD and later research efforts to developing safe, natural, and effective wound care and hemostatic products. As a mom and owner of four rescue dogs and two rescue cats (along with a slew of other pets! ), she has dedicated her life’s work to making sure that there is a natural and safe alternative to band-aids, harsh chemicals, and antibiotics to treat and protect wounds.